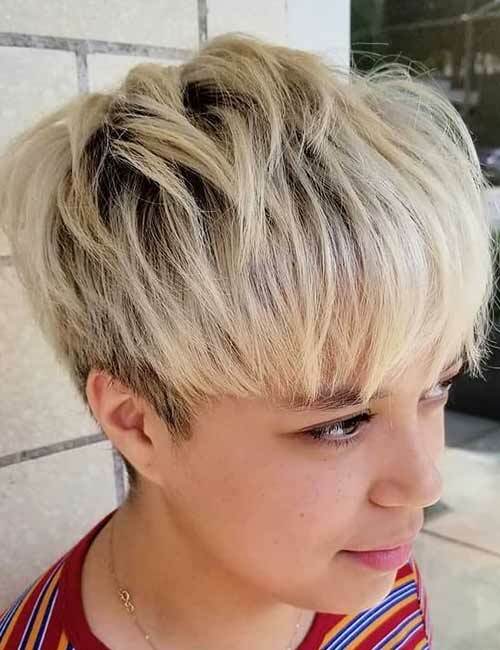 Short hair is chic and super chill! It doesn’t come with the maintenance worries of long locks. I was under the misconception for a long time that short hair was simple and boring. But now, I’ve realized how wrong I was. 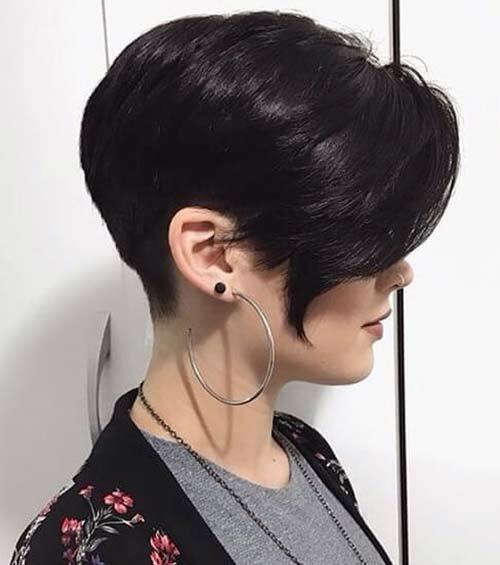 My favorite look on short hair has to be layers. 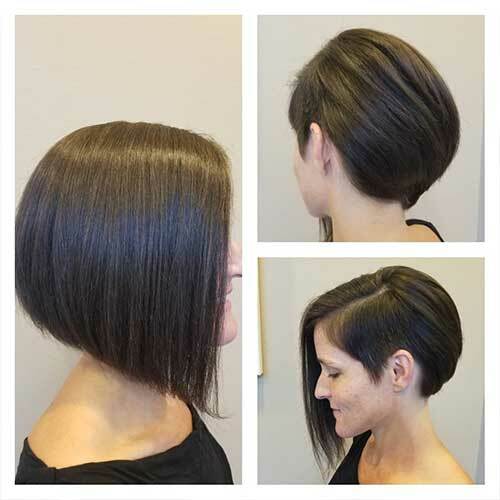 Layers can add volume to your short locks and amp them up to a stunning 10! Don’t believe me? 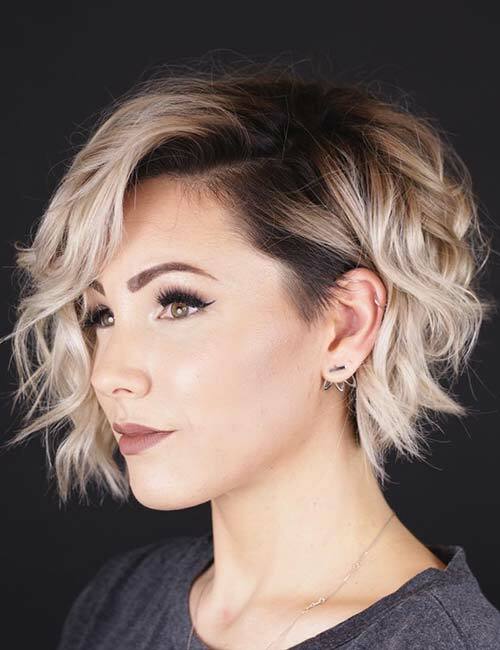 Take a look at these 25 stellar short hairstyles that will make you scramble off to your hairstylist in a rush! But before that, read up on how you can add layers to your locks without going to a salon. Comb your hair back, so it falls behind your shoulders. Make sure it is free from knots and tangles. Hold all your hair with one hand and tie an elastic band where you want to cut it. Stand in front of the stationary mirror and hold the hand-held mirror behind your head to see the back of your head. Slide the band a little higher. Cut your hair in a deep V below the elastic band. Remove the elastic band and check your hair. For the next part, use the mirrors to check your hair at every snip. You can also ask a trusted friend to help you. Take the hair at the front and comb it down on your face. Hold this hair with your index and middle fingers and cut it at the length you want it. Using the point-cut method (holding your scissors pointing upwards), add layers to your hair at the sides. If you want layers at the back, get them cut by an expert. Now, let’s get to the fun part! 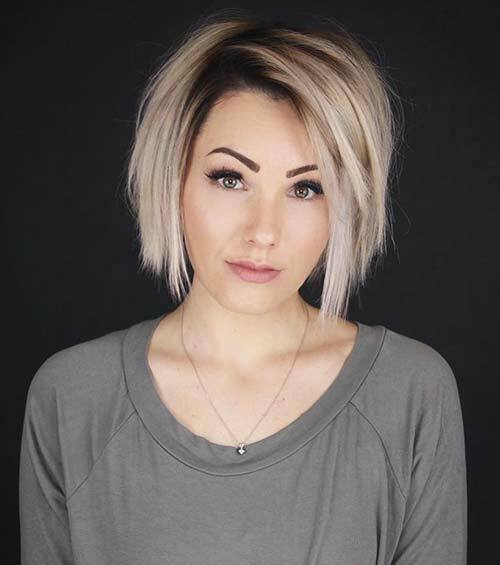 Here are 25 incredible short layered hairstyles that you will definitely want to try! When I was a teenager, this hairdo was on every show I watched. I was completely enamored by it. These shaggy layers slim down your face. If you have a round face or wide cheeks, get these shaggy layers cut near your cheeks to make them look thin. 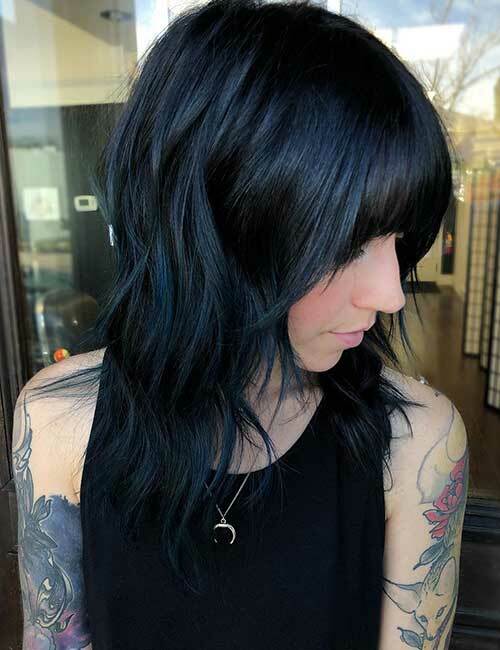 You can add some navy highlights to accentuate your layers. Wavy hair brings layers into focus. 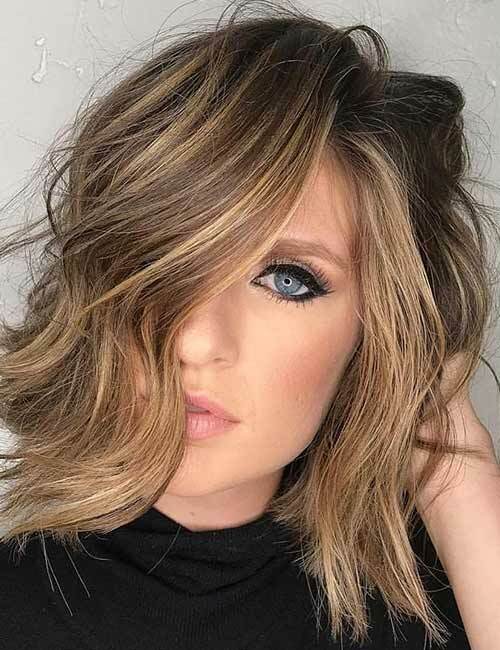 This layered wavy bob adds volume to your hair and makes it look thick. Adding some highlights a few shades lighter than your natural hair color will add dimension and texture to your hair. The classic bob is always chic. Add some layers to give it a classy twist. It will make your hair look fuller. Keep the front simple while adding multiple layers at the back. To make it look even more voluminous, add slight curls to the layers at the back. Thin hair has its perks. For instance, you can sport chic haircuts like this lovely French lob. The layers are well-defined and add dimension to her hair. The hairstyle accentuates her facial features. 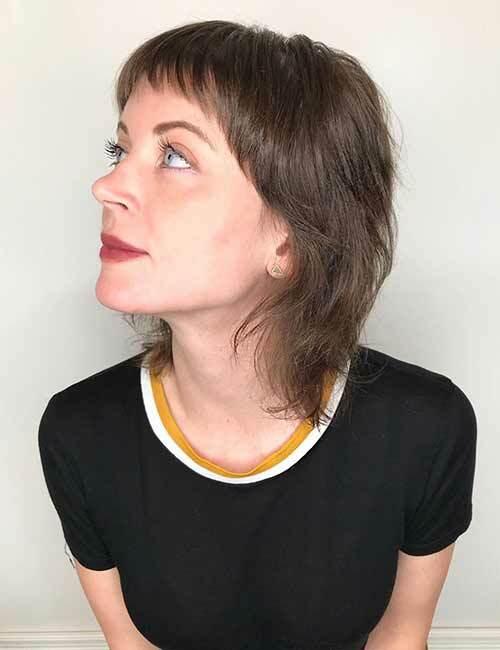 If you have an oval or diamond face, consider getting baby bangs with this lob. They will look great on you. If you have thin hair, the best way to make it look bouncy and thick is to curl your hair. Use a heat protectant and a 1.5-inch curling iron to style your hair in these messy curls. You can add more texture and dimension to these curls with the help of a texturizing spray. This hair look is for all the women who are confused between getting a bob and a shag haircut. 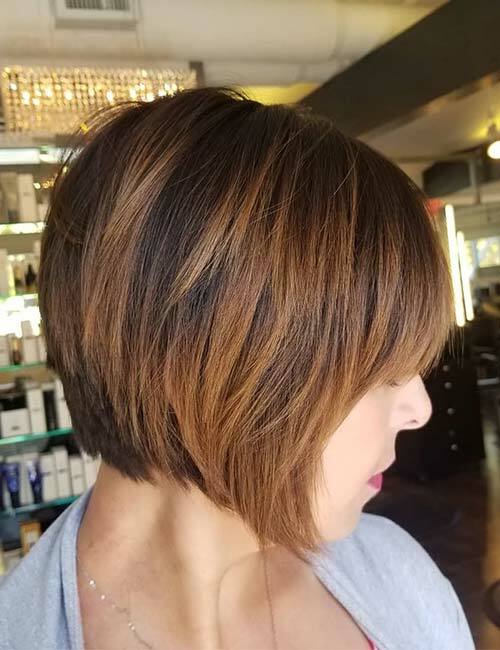 The layers accentuate the bob and make it look youthful. You can add a splash of color on the side to jazz it up. 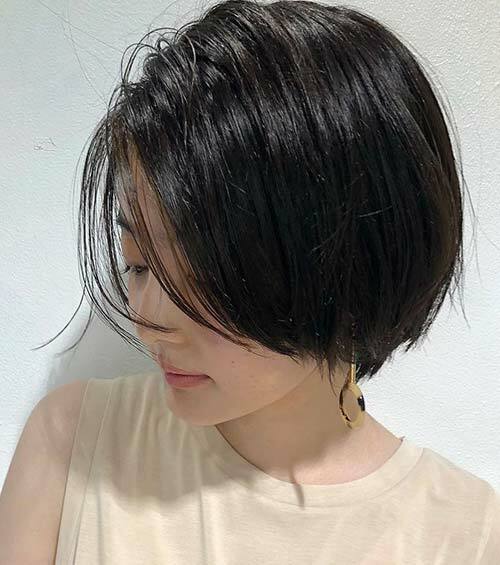 If you have thick hair and still want layers, try this haircut. Get layers cut on the top few sheets of hair. 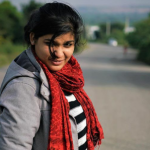 Multiple layers can give your hair a luscious look. Getting multiple layers can also add fullness and volume to thin hair. Meg Ryan was the poster child for this kind of hairstyle back in the ‘90s. Remember You’ve Got Mail and Addicted To Love? She sported short shaggy hairstyles like these, with the ends flicked out. It streamlines your face and makes it look slender. 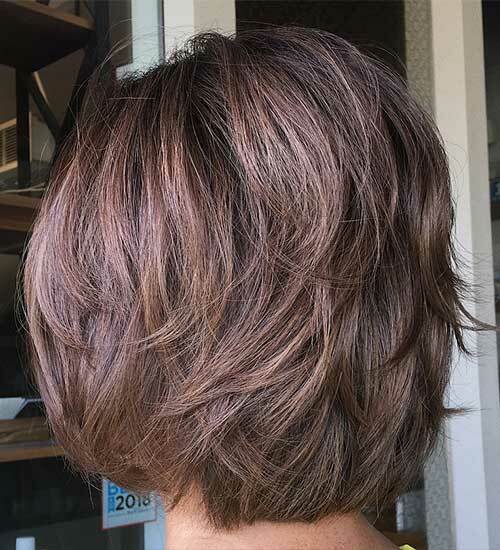 The graduated bob is one of the trendiest hairstyles of 2018. Spice it up by getting some layers, and it almost looks like a new hairstyle! Some partial highlights add a nice contrast to naturally dark hair. Less is better, and less can be a lot when done right. Check out this hairstyle with less layers. 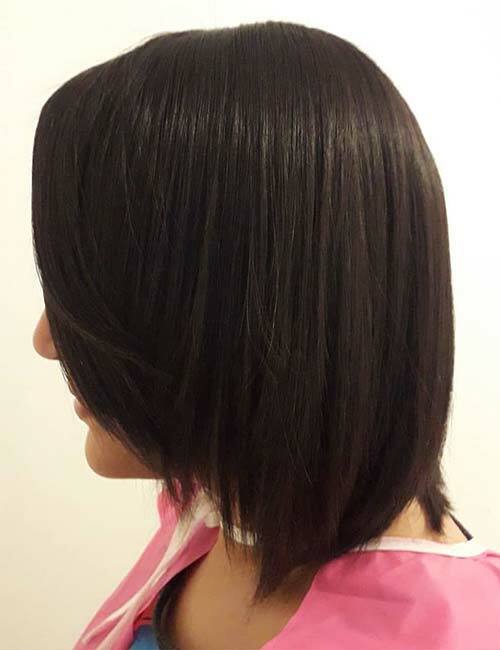 The hair in front is layered while the back is cut in the same length. 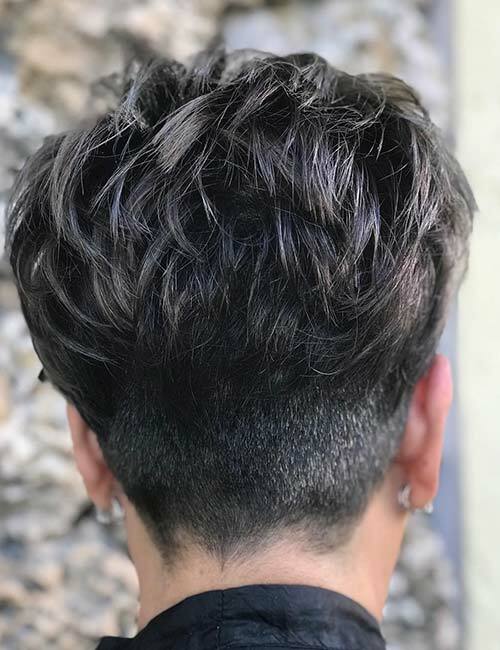 This haircut starts out short but gets longer at the back. This means that the layers are concentrated at the sides. This cut works really well on oval faces. If you have a round face, consider getting bangs and a deep side parting. Highlighted layers look incredibly stellar. 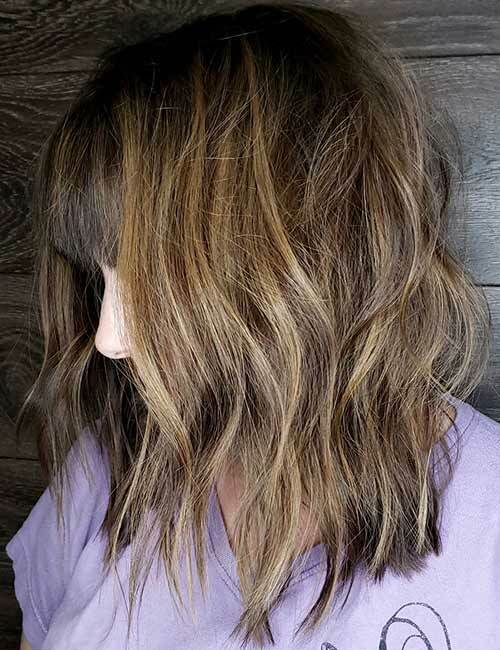 They accentuate the layers and your natural hair color. Go for colors that complement your skin tone and are a few shades lighter than your natural hair shade. If you’re an emo girl, this hairdo has your name written all over it. 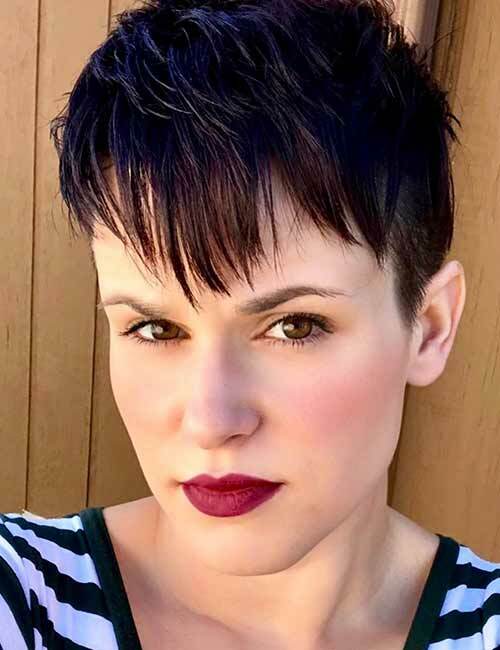 Cutting layers in your bangs can add a nice twist to your pixie. It also makes way for you to style your pixie in many other hairstyles, like a killer mohawk. A stark layered contrast with short, dark hair on one side and layered hair on the other looks effortlessly cool. Try darker roots with blonde hair. 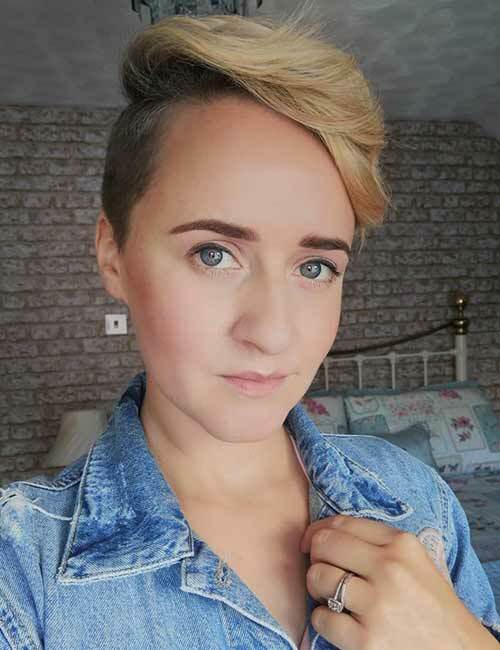 If you want to cut your hair, pin one side up to give it the undercut look. Style your hair in curls to take this hairstyle to a whole different level! 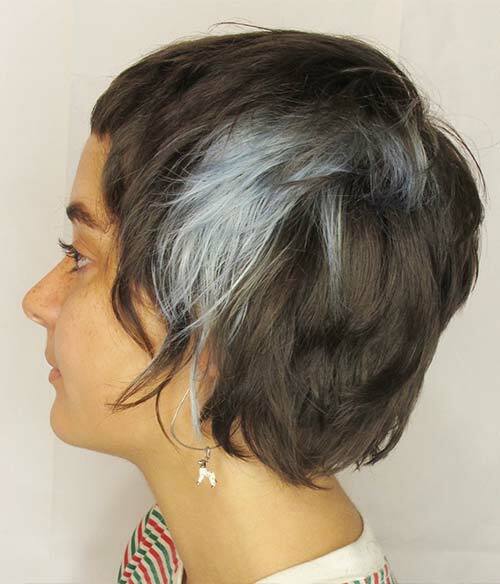 The perfect messy pixie is created with layers. 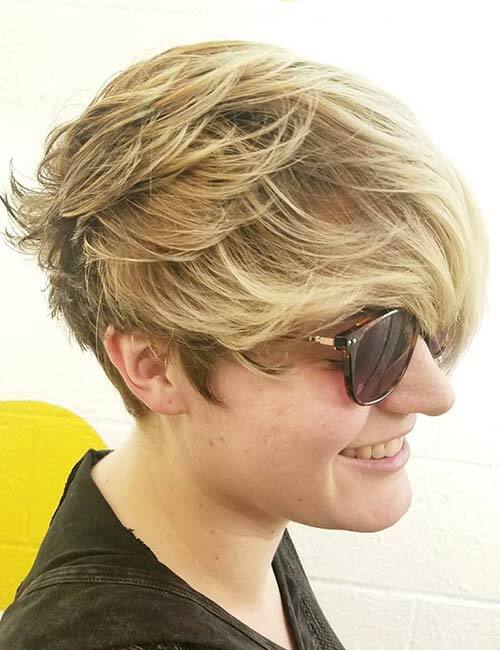 This haircut bleeds an edgy personality. The contrast between the layered hair and the sheared hair is absolutely mind-blowing. All you need to pull off this hairdo is attitude! Silver who? Gold what? Hello, platinum! All things platinum seems to be taking over the world – platinum albums, platinum rings, and now, platinum hair. But no one’s complaining because it looks killer. Choppy layers are a great way to slim down your face and highlight chiseled cheekbones. They can also highlight other facial features like your eyebrows and eyes. The zig-zag parting adds oomph to the entire hairdo. If you feel your face is too small or round, add layers that start at the top of your head. These waterfall layers will add height to your face and give it a slimmer and longer appearance. The blonde layers also add texture to your tresses. 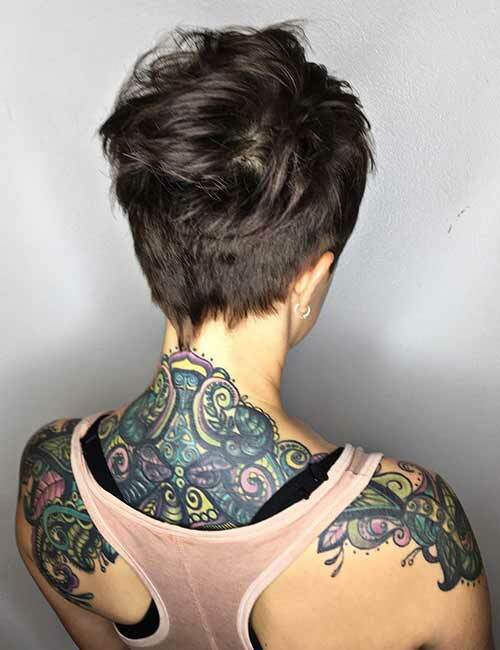 The layered pixie cut has to be one of the coolest hairdos of all time. 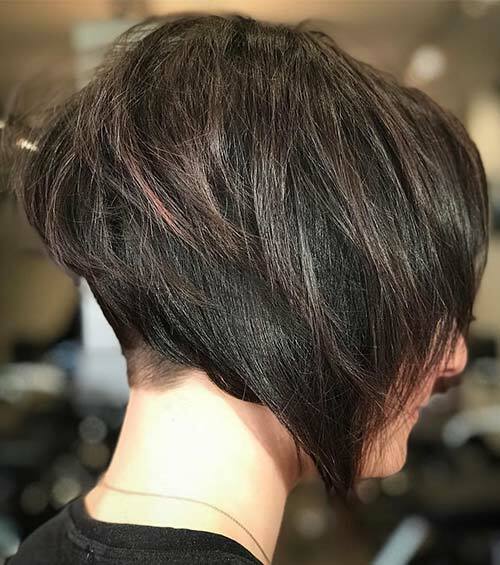 It looks edgy and modern while still being a classic cut. 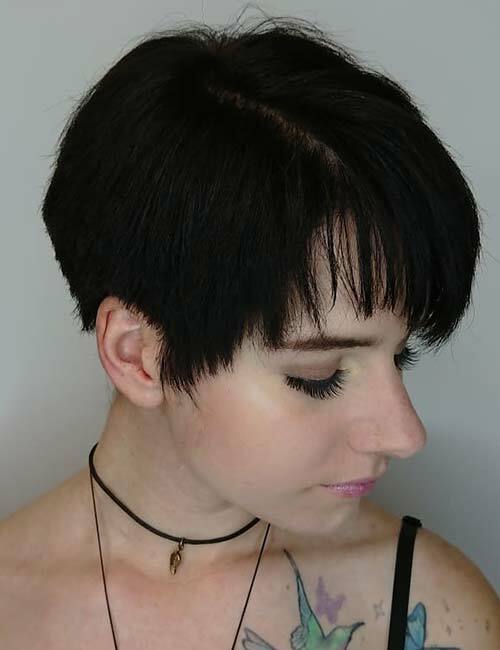 Black really is the best color to sport a pixie cut in, but that’s just my opinion. Not everyone can pull off this diva pixie. It takes a great amount of attitude and the right amount of hair color. The contrasting hair colors and the slick waves at the top make for a modern queen-licious hairdo. You want layers but everyone has them? Try this! Layers that start at the back and head to the front. It’s the ideal messy but clean hairstyle. The layers join at the front to form deep side-swept bangs, which makes this hairstyle perfect for all face shapes. 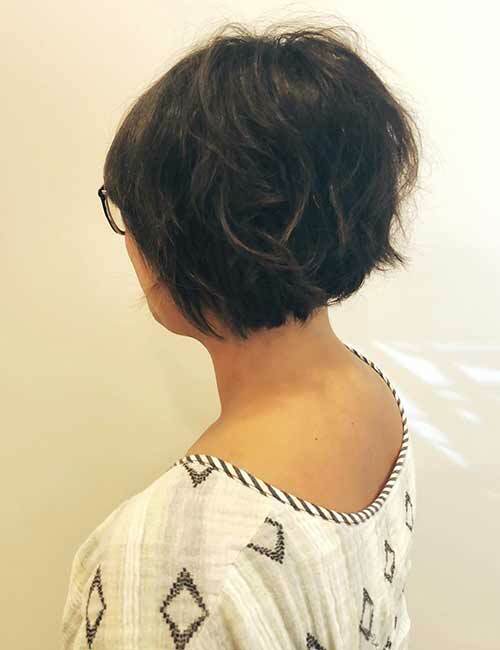 This asymmetrical bob is a layered cut. It starts short on one side and gradually increases in length as it moves towards the other side. 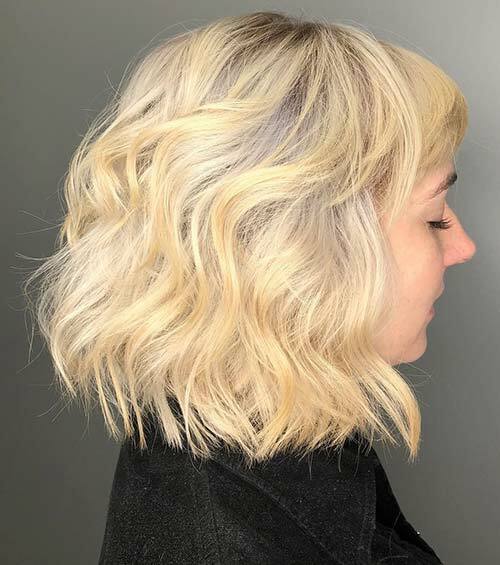 It takes great precision to cut the perfect asymmetrical bob, so go to a hair stylist instead of cutting it on your own. 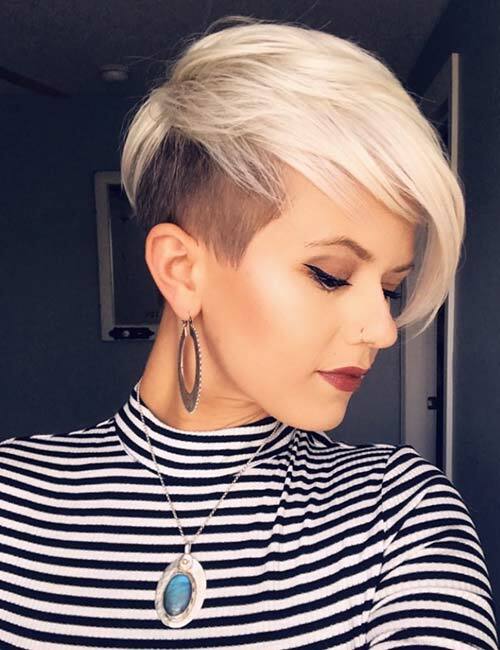 The only way to amp up the undercut pixie is to add layers to it. It makes the classic pixie edgier and more badass. Throw in a nice blend of hair colors and brush your hair to one side to create an effortlessly cool look. Many women want short hair but worry about it looking too passe or that they won’t be able to style it right. You can never go wrong with a faux-hawk, especially if you have a grungy sense of style. A layered faux-hawk with a dark lip shade is all you need to brighten your day. Who doesn’t love a messy ‘do? Well, with short hair, you can have the best messy look! Add layers to your pixie, take some mousse or foam on your fingers, and rumple up your tresses to perfection! We women love to flaunt our hair. That means we want our hair to look stunning 24/7, 365 days a year. Your hair needs love and care to be perfect. Here are some maintenance tips so that your short locks look their very best at all times. Get regular trims! Short hair tends to grow faster until a certain point. Thus, it can look a little too shaggy and worn out. Getting regular trims will keep your hairdo in check and on point. Unless you are an expert hairstylist, I would advise you to get your hair cut at a salon instead of doing it yourself. It takes a lot of practice to do a perfect haircut, and short hair does not leave room for multiple tries. Wash your hair thrice a week. Short hair that is naturally oily can get greasy every other day. If you don’t wash your hair at least thrice a week, your hair and scalp will look extremely greasy. This will make your hair look like its thinning. Let’s not forget the hygiene aspect as well. Leaving greasy hair unwashed for long can aggravate flakiness and lead to build-up. Dilute the shampoo with water before using it. You will be washing your hair a lot, and the chemicals in your shampoo can seriously harm your locks. You can start using a natural shampoo, but that might not be a viable option for everyone as they are quite expensive. The simplest solution is to not use concentrated shampoo. By adding a little water, you get clean locks without using too much shampoo. Deep condition your tresses once every two weeks. Apply some conditioner to your hair and cover it with a shower cap. The heat and steam from your bath will deep condition your locks, leaving you with healthy, clean, and nourished hair. There you have it, ladies! 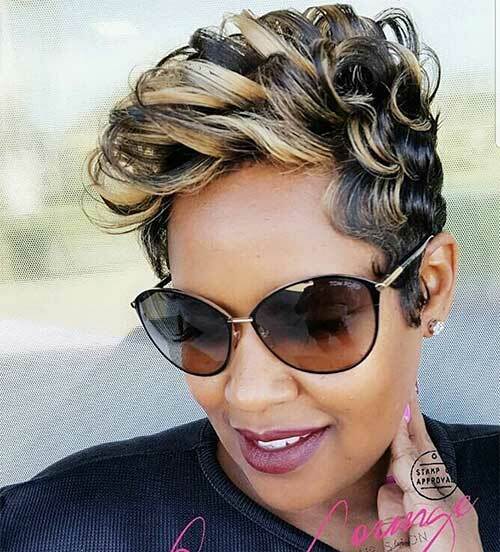 The top 25 short layered hairstyles trending right now! Have you had an exceptional experience with your short locks? It can be a really good or a horribly bad one! Let me know what that was like and how you got your groove back in the comments section below.